In Any programming language, File IO operations are basic functionality. These operations are low-level calls made to underline operating System to operate physical files. Go Language also provides many operations as part of standard packages. All these operations accept input, process it and output to or from physical files. os package provides platform independent functionalities for Operating System. A file is a collection of data stored under a computer machine. Filename contains the actual name of the file suffixed with the file extension. The extension is a type the file. The absolute path is a path from the Root folder to file location. This is specific to Operating System. A relative path is a path which is relevant from the current directory. In Operation System, Filename is unique in Directory. 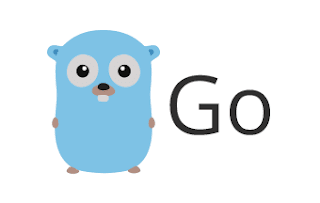 Following are the basic examples that you need to know when you are dealing with go language files. This is a simple and easy example of creating an empty file. In the below example, Standard os package provides create a function. This file returns two parameters, First, one is returned file reference to this file for IO operations. second is an error if any exists on creating a file. a log is a standard inbuilt in basic logging package. And function Fatal is equal to Println+ os.exit. This is useful when you want to rename a file or move a file from one location to other location. without rename functionality, We need to delete the file and create a file with a new name. The syntax is os.Rename(oldpath,newpath) Rename function accepts oldpath and newpath. It returns an error if any error exists. In the above program Filename and NewFileName are a path including file names. If it is in a different directory, Output of rename command outputs to a new location with renamed file. It is very simple to delete a file from a file system. Inbuilt OS package provides Remove function Syntax is fs.Remove(path) path is the name of the file or directory. Directory always starts with /. The output is testing.txt file will be removed from the current directory. if any error occurs, It returns Error To delete files from a directory, Iterate all the files in the directory and apply os.Remove() function. function truncate reduce file size by specified bytes. the path is the name of the file including the absolute or relative path. When we are doing any operations on files, the First requirement checks is to check file exists or not. Standard os package provides Stat() function to get File meta information, If file not exists, Returns an error. The error can be of different errors, We need to check whether these errors are related to file or directories exists IsNotExist() function returns true if the error is related to not exists. The flag is of type int which contains the following constant values. This will tell the purpose of the file to do operations. It is a basic operation to write a content into a file. ioutil package provides WriteFile function which accepts filename, string content in bytes, permissions. Outputs file content line by line into the console. Directory alias is a folder which contains various types of files and nested directories. This will be helpful to organize the files and directory in the Operating System. Following are various directory input-output operations. we have to use standard package os to create director or folder First os.Stat() method checks meta information of a file or directory, if already exists it returns an error as nil value, do nothing Once the check is completed, we have to call os.MkdirAll(path, permission) to create a directory with given permissions. MkdirAll is like mkdir command in Unix. Outputs the directory is created in the current folder. Creation of simple directory works as expected when there are nested directories, like directory\\dir2 code also works in windows, but not on other platforms Operating System. The reason is path contains \\ which will not work in UNIX Operation System. The above code is not feasible for platform dependent and nested directory creation. The output is Create a directory dir2 under dir1. The directory contains files and subdirectory tree. Sometimes It is required to visit each file and subdirectories of the directory. filepath.Walk function is being used here. It accepts directory and custom visit function parameters. In the below program, Created an anonymous function that is passed Walk function which iterates each file and directory in the directory tree.